More than a dozen local artists will participate in the WCA’s fifth annual Imagination into Art at the WCA’s Red Barn. Imagination into Art offers a unique opportunity to meet and speak with local artists. The two day show starts with a wine and hors d’oeuvre reception from 4:30 to 7 p.m. on Friday, June 23. A $15 donation is suggested. Art lovers are encouraged to bring their children and grandchildren on Saturday. Admission is free and their will be workshops for the kids. For many years, Leslie Tuttle worked as a photojournalist in developing countries. From nomadic tribes in the mountains of Turkey to waste pickers in Brazil, her portfolio focused on working women. The difficult lives of these women rid her of any romanticized notion of rural life. Leslie has an enormous respect for people who work incredibly hard to sustain themselves and their families, and for whom being picturesque holds no coin. Collaborating with author, Helen Brody, Leslie recently turned her attention to rural development in New Hampshire. Together, they have investigated women farmers. 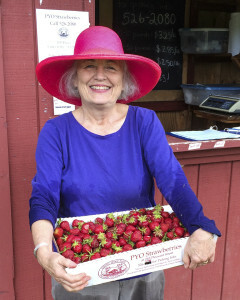 Their book, New Hampshire Women Farmers: Pioneers of the Local Food Movement, was published in 2015. During the process, Leslie discovered that the similarities far outweighed the differences between the women she encountered in other countries and those in the book. 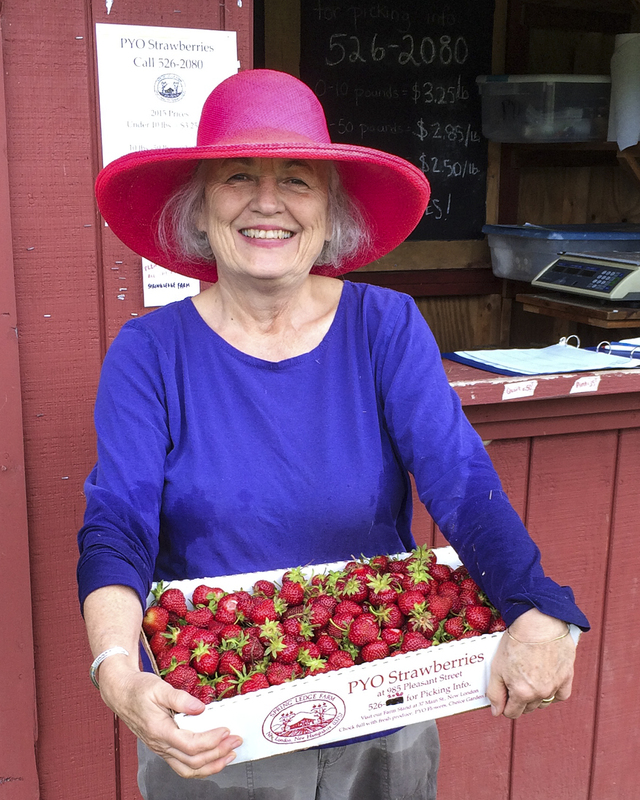 She is delighted to be able to share these New Hampshire farmers’ stories of innovation and resilience. Paul Linehan and his wife Ann moved to New London in the late 1960’s. Many locals know Paul from his many years as an administrator in the Kearsarge Regional School District. After almost 30 years in education and the good fortune to meet a multitude of very special young people, Paul took on a new career and opened Colby-Linehan Real Estate. Paul always loved drawing and painting but rarely had the time. Throughout his years in real estate, he enjoyed giving his clients pen and ink drawings of their homes. After retiring in 2014, he spends most of his days reading, playing golf, traveling, working in his gardens, drawing and paintings. His work focuses on local scenes. Penny Koburger likes to paint and draw a variety of everyday subject matter. Watercolor and oils are her preferred mediums. Painting allows her to slow down and contemplate the subject matter, be it a person, object or scene in nature. She is fascinated by light color and mood. Rather than strive for total realism, Penny attempts to create an emotional connection. Penny lives Enfield. She has a doctorate in clinical psychology and practiced for many years in Vermont. 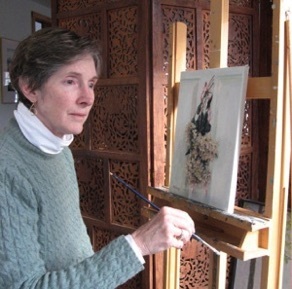 Since retiring, she has been studying, painting and teaching full time. Penny has shown her work in Vermont and New York. She has won numerous prizes for her oils and watercolors, including 3 Best in Shows. She has been president of the Bethlehem Art Association in NY, and is a member of Center for the Arts in New London and the AVA Gallery in Lebanon. Guided by an artistic sensibility, Jay Aubertin employs traditional and modern techniques to fabricate both practical and purely ornamental pieces. Jay’s work celebrates the innate beauty of the materials used and a perennial reverence for quality. He creates custom products his clients are proud to hand down from one generation to the next. He has a strong background in welding and fabrication. 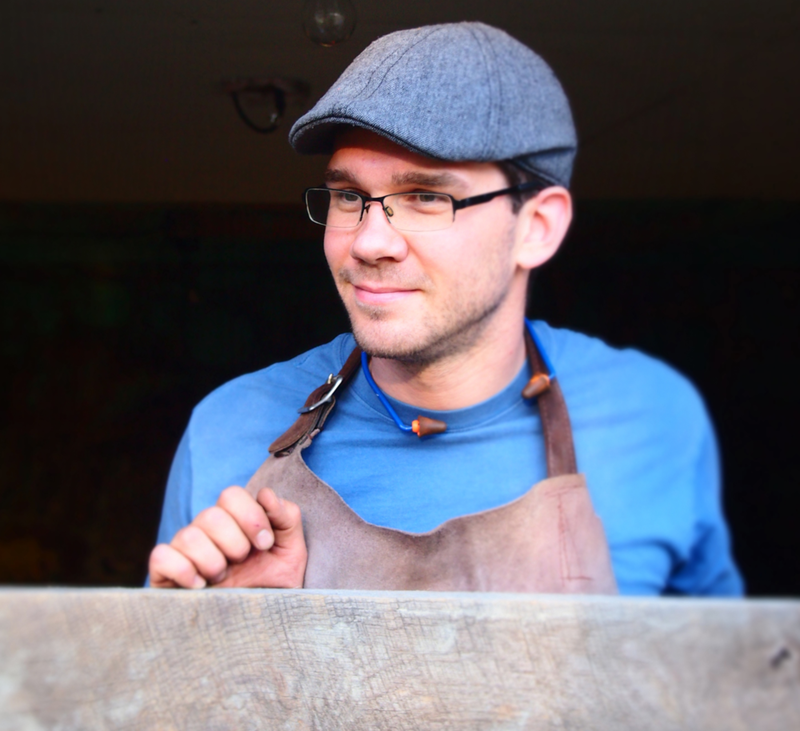 Jay enjoys utilizing other materials such as wood, copper and leather into his work. In addition to his many other projects, Jay has a passion for making and riding his own hand built bicycles. Jay lives in Wilmot. This entry was posted in Art Show, WCA, WCA Events, WCA News, WCA Programs and tagged Imagination into Art, WCA, Wilmot, Wilmot NH by admin. Bookmark the permalink.